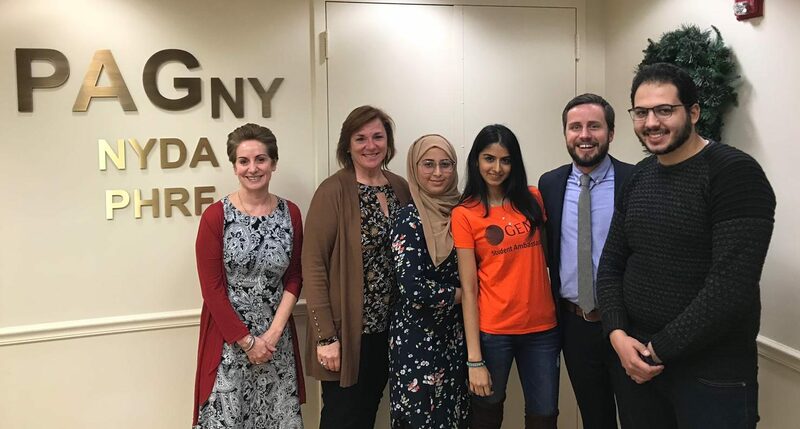 Post by Divya Gautam, Student Ambassador at Royal College of Surgeons in Ireland (RCSI) and University College Dublin (UCD) Malaysia Campus has completed an elective exchange at PAGNY in New York City. The aims of this elective were to gain a better understanding of some of the rotations that I am interested in and to narrow down the field in which I hope to specialize as well as to learn how the American healthcare system functions. 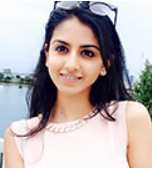 In medical school, we were unable to achieve a specialized exposure to Dermatology and therefore, this elective was very attractive to me as it offered the opportunity to shadow one of the most established dermatologists in the United States. As an international student in Malaysia, I have gone through most of my clinical years barely scraping the minimum requirement for patient interaction. It is an entirely different experience to be able to converse with a patient about their problems in your first language and be able to counsel a patient directly, instead of through a translator. 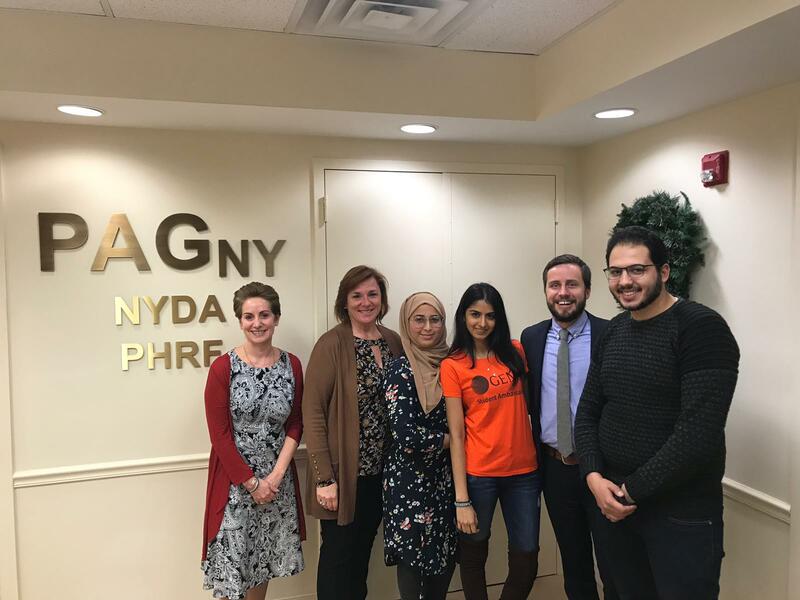 Another major objective was to be able to work on research with PAGNY, an established organization that is responsible for publishing hundreds of quality papers. Forming contacts within the United States system is extremely vital for me to give myself a chance for furthering my career. Throughout this elective, there were some ups and downs due to the mere timing of the placement as it was around the winter holiday period. There were fluctuations in the number of patients being seen; however, I was, without a doubt able to identify some key differences in the practice of medicine in Malaysia and the USA. I was very happy with the way I was treated as a medical student. When I was rotating from clinic to clinic, I was always introduced as part of the consulting team and was asked for my medical opinion when it came to clinical decision making. 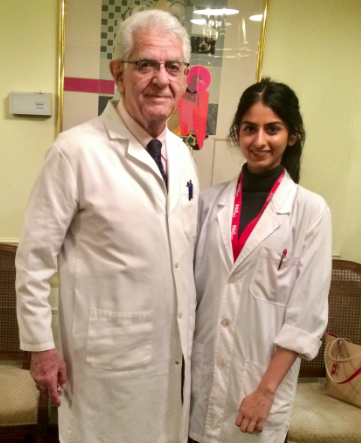 Working with the physicians at PAGNY, encouraged me to continue my journey in medicine. I was on the elective with three other students, and during the research segment, we were given the option of being put on existing research or creating our own topic and literature review. We, of course, being extremely ambitious, as medical students are, chose the latter. Our research paper is a cross-cultural literature review on the substance use patterns in the countries that we are from. In my opinion, given the massive burden of substance abuse and dependence on the healthcare systems, globally, this paper can be an asset to warrant further research on intervention and public policy. Now for some fun stuff—since I grew up in the States and a lot of my friends from boarding school ended up there, I spent a lot of time catching up with old friends and just drinking A LOT of apple cider and eating A LOT of Christmas market food. I could list about a hundred things I fell in love with while I was in Manhattan. The dollar pizzas, the museums, the brunch spots, the convenience of the subway, the musicians and street artists, the hustle and bustle of Wall Street, the fantasy lifestyle on the Upper East Side, the strolls through central park, hearing over 20 different languages on your way home from the clinic, the list goes on and on and on and on! I want to thank GEMx for providing me with this fantastic opportunity. It is rare to carry out an elective in the United States without having given the USMLE, and together with PAGNY, this was made possible. All of the physicians that I worked with were extremely kind and did not hold back on teaching us and guiding us through the rotation. Our research coordinator was always available in case we were having difficulties and provided us with ample resources to aide our monumental task of doing a literature review over a span of 6 weeks. Overall, it was also a great experience, being able to live in Manhattan and experience the diverse culture of the state of New York—that too during the most wonderful time of the year!. I’m more confident in my decision to practice in the United States as I feel that I understand the structure and inner workings of their healthcare system. I’ve been able to successfully establish a good relationship with practicing physicians that have been kind enough to offer recommendations and continued contact for mentorship.